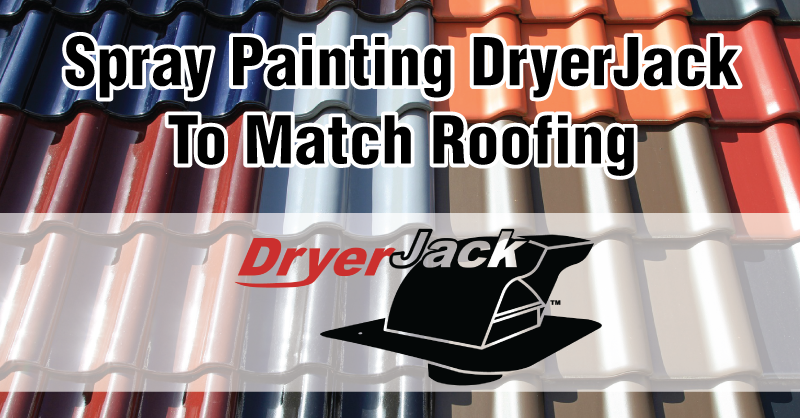 To help the DryerJack blend into the roof, use the mill finish model and paint it to match. A paint & primer spray paint like Rust-Oleum works best. If you plan on painting the inside part of the DryerJack, be sure not to paint the piano hinge on the backside of the vent that controls the backdraft damper/flapper. This hinge is an important part that controls the movement of the flapper and won’t work properly (stick open or shut) when painted.